Secretary of Transport for NSW, Tim Reardon, speaks to The CEO Magazine about how the department is growing and changing with the state’s population. With more than 25 years of experience almost exclusively within the transport industry, Tim Reardon has seen it all. The role of Secretary of Transport for NSW, which he took on during the second term of Australia’s Coalition government, is one he saw as a great honour, but he was also well aware of the challenges ahead. While Transport for NSW’s 25,000 staff members have kept people connected across the state — for work, life and play — a rapidly expanding population wanting to connect in brand new ways has urged Tim to rethink the way the department delivers its services. His (Tim Reardon) vision is for a more connected network, one where people can think about New South Wales as a place to live, work and visit, and enjoy good quality transport. While Tim’s diverse and capable team has been successful in getting the basics right – providing more efficient train services, shedding some old agencies such as RailCorp, the Roads and Traffic Authority, the old Ministry of Transport, and building strong brands in Sydney Trains, Roads and Maritime Services, and Transport for NSW – the task over the next five years is to ensure the state’s transport services can grow and develop with the population. “We have 7.5 million people in New South Wales,” Tim says. “We see every single one of them as a customer, and many of them use our services daily.” The state is bracing itself to accommodate 9.5 million residents by 2030, and Transport for NSW is already harnessing incredible amounts of data for planning, and delivering new pieces of infrastructure to support this growth and take advantage of the opportunities presented by new technology. As well as bringing together and acting upon ideas from innovators, entrepreneurs, intrapreneurs and universities, Tim is seeing more members of the community looking to communicate directly with the department, and they’re sharing their expectations through digital channels. He says this feedback allows the department to do its strategic planning, transport planning and transport modeling differently, and to show the public “we’re not just a bunch of planners and engineers”. 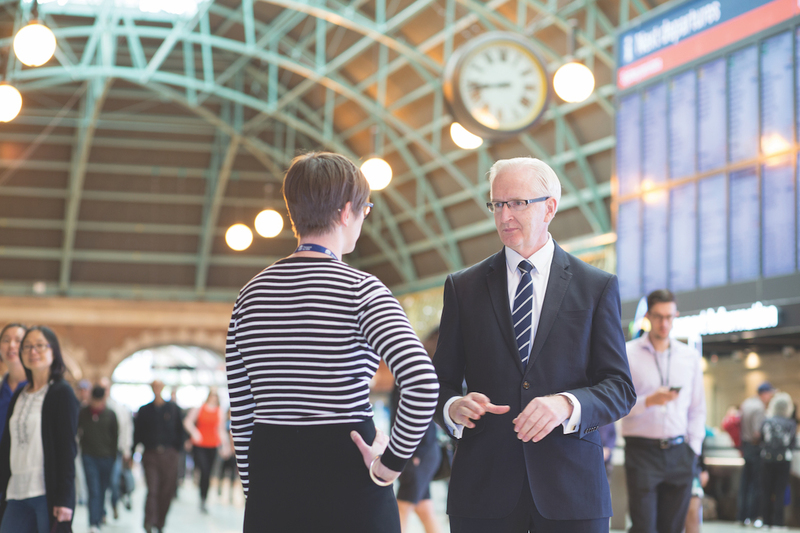 As well as facilitating millions of new connections and pushing New South Wales to evolve and emerge, Transport for NSW is focused on creating an internally connected and productive environment. “The entire executive of Transport for NSW, and the entire executive of the agencies that work within the Transport cluster across trains, roads, buses, ferries, light rail, are all joined at the hip when it comes to women in leadership, flexibility and Aboriginal representation,” says Tim.